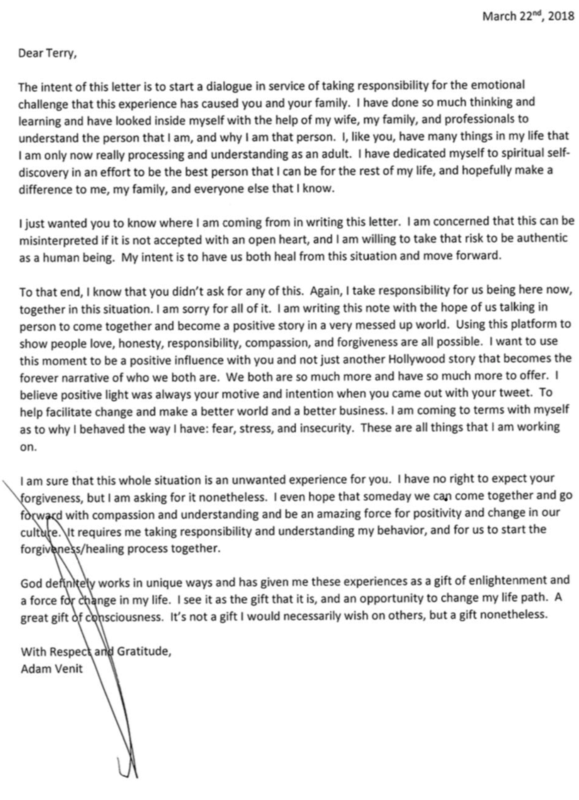 Actor Terry Crews, known for his role on “Brooklyn Nine-Nine,” posted the letter of apology he received from former WME agent Adam Venit after Crews accused Venit of groping him at a Hollywood party in 2016. Crews filed a police report about the alleged incident last November. Crews marked the occasion of Venit’s resignation from WME to announce that he accepted Venit’s apology, which Crews received back in March. Crews published the letter on his Twitter account. Venit exits WME less than a year after he stepped down as head of the firm’s motion picture department as a result of the allegation from Crews.